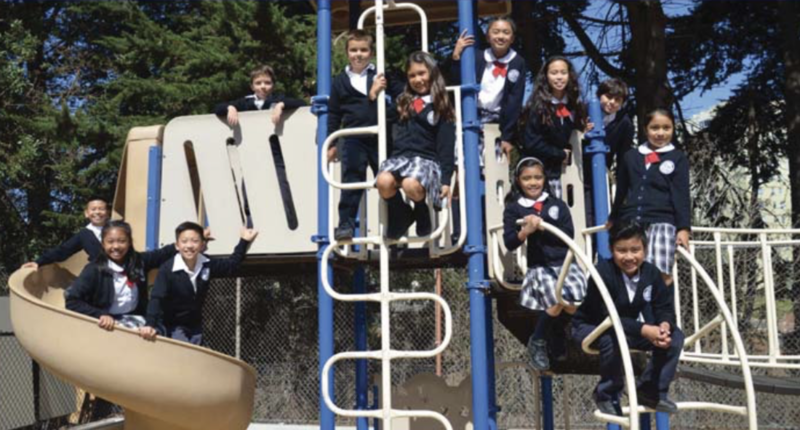 Guided by Catholic values, St. Thomas More School is committed to educating each individual based on the teachings of Jesus Christ. We advocate academic excellence and inspire spiritual, intellectual and social growth. We prepare our diverse community of students to become citizens committed to service and stewardship. THAT A CATHOLIC ENVIRONMENT IS ESSENTIAL TO THE DEVELOPMENT OF CHRISTIAN VALUES. THAT EVERY PERSON NEEDS TO PERCEIVE THEIR SELF-WORTH AND TO RECEIVE AND GIVE LOVE AND RESPECT IN ORDER TO BECOME A HEALTHY, MATURE AND FREE HUMAN BEING. THAT EVERY PERSON HAS GOD-GIVEN POWERS TO THINK, TO JUDGE, AND TO MAKE FREE AND RESPONSIBLE DECISIONS. THAT THE MISSION OF CATHOLIC EDUCATION IS TO GUIDE PERSONS TO THE TRUE FREEDOM AND A FULLER HUMANITY IN ALL AREAS OF THEIR LIVES. THAT EVERY PERSON HAS NOT ONLY THE RIGHT BUT THE RESPONSIBILITY TO DEVELOP TO THE FULLEST HIS INTELLECTUAL AND VOLITIONAL CAPABILITIES.